Release me!. . HD Wallpaper and background images in the shadow el erizo club tagged: shadow hedgehog. This shadow el erizo photo contains animado, cómic, manga, historieta, anime, and dibujos animados. 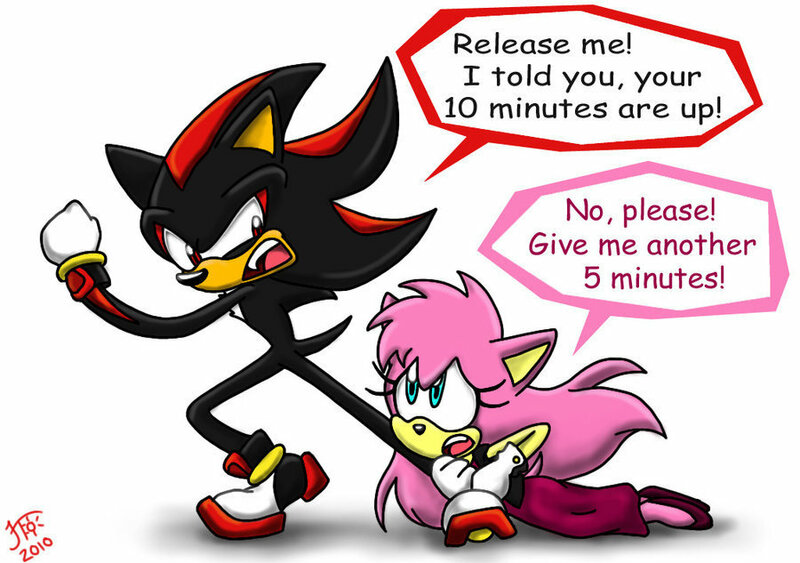 Amy, let me go! Rouge is my girlfriend. @shadamylover147: PLease do remember that this is a pic V.V we don't need to get angry about this. P.S. Rouge is not a hoker. AMY LET GO,IT'S MY TURN! I swear to this day that Amy's colorblind. 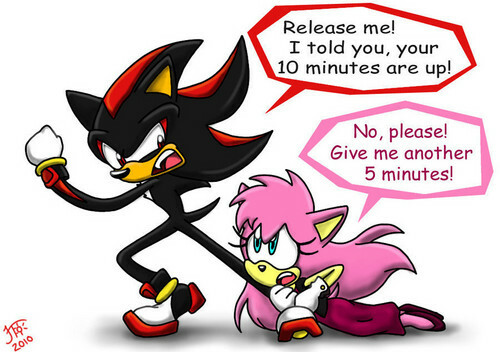 How else could she mistake Shadow for Sonic? No! Amy! Out of my way! It's MY turn!